A water mill at Beeleigh on the river Chelmer was owned by Beeleigh Abbey until the Dissolution in 1536. This is possibly on the same site as the mill mentioned in the Doomsday Book of 1066. 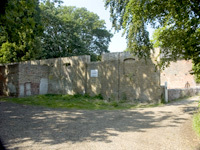 After the Dissolution, the Abbey and all properties were aquired by Sir John Gate who, before being beheaded, sold off various parts of the lands and properties. In 1793 the Chelmer and Blackwater navigation was being built and in order to gain control of the mill ponds on the river Chelmer, the proprietors purchased Beeleigh Mill from John Crozier for £7,150. 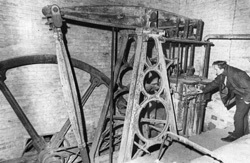 This purchase was necessary to eliminate the risk that the canal could be drained through excessive flow of water through the mill wheels. 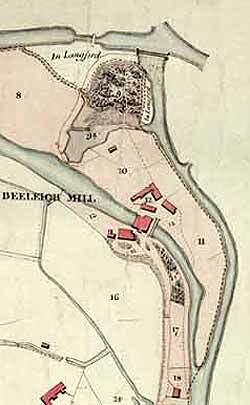 Beeleigh Mill was eventually purchased by Dunkin and Stammers who rebuilt the mill to five storeys height and containing ten stones and two water wheels. 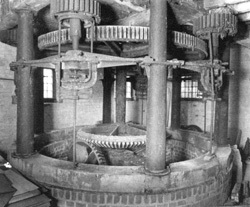 Steam was later added in 1845 to supplement the water power. 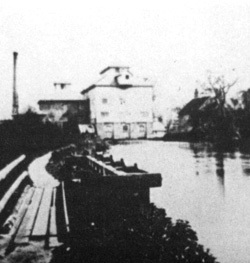 The water mill was destroyed by fire in 1875 and never rebuilt. 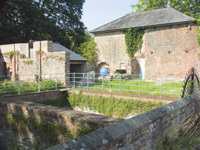 Some remains of the water mill building have survived along with the adjacent steam mill and the steam mill building still contains the original Wentworth beam engine and gear and Elephant boiler. 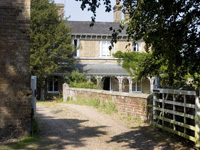 The site is currently owned by The Essex & Suffolk Water Company and leased to Essex County Council. There are plans to open it as a tourist attraction when the resident bats have found a new home. The section of an old map drawn in 1838 shows the layout of the water mill and how the river Chelmer once flowed through it. The pictures below show the remains of the mill and the adjacent Beeleigh Falls House where the mill owner Mr Henry Ward resided at the time of the fire.